The Mises Institute is pleased to present this audio edition of Rothbard's most famous monetary essay - the one that has influenced two generations of economists, investors, and business professionals. 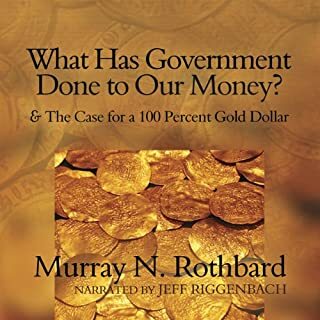 The Mises Institute has united this book with its natural complement: a detailed reform proposal for a 100 percent gold dollar. "The Case for a 100 Percent Gold Dollar" was written a decade before the last vestiges of the gold standard were abolished.